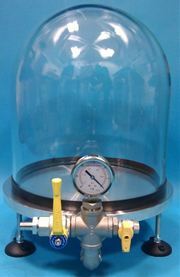 We also manufacture a range of Borosilicate Bell Jar Degassing Systems. 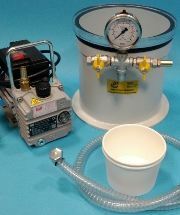 Ask for details of our complete degassing kits, comprising of a degassing chamber, a suitable Vacuum Pump, Vacuum Hose and mixing containers. Everything you need to start degassing.